37 years ago today Elvis Aaron Presley spontaneously combusted, he was 42 years old. His legacy will endure forever. In his memory, here is a article I wrote 7 years ago that touches on the man but focuses on the 4 films he made that truly are quality cinema. August 16th 2007 marks the 30th anniversary of Rock N Roll god Elvis Presley’s death. Yep, 30 years ago today, sergeant pepper mourned as the dead bloated body of “E” was discovered in the bathroom of his Graceland Mansion. The final years of Elvis’ life were like the Planet of the Apes sequels, progressively getting so bad that you forgot the original was actually a work of genius. Fortunately you don’t have to go to far to bask in the glow of a 21 year old hillbilly cat that shook the world up and shake rattled and rolled like few in history. Single-handedly cementing the essence of Rock N Roll into the culture, his life became mythical. A modern day messiah to many, worshiped with all fervor previously reserved for Jesus, seen with all the frequency and absurdity of the Virgin Mary in a bagel. John Doe likes to forget most of the 60’s (Except the 68 comeback) and 70’s when it comes to the King both musically and cinematically. Sure once the colonel insisted he sing for his supper in every outing and essentially play himself, the movies were sadly rendered empty vessels possessing less substance than a chicken and banana toasted sandwich. Appearing in a total of 31 feature films the first 4 contain the hint that if the man was allowed to focus on his thespian skills his screen performances may have rivaled his stage persona. After all this is a man who idolized the holy method trinity of Brando, Dean and Clift, incidentally memorizing every line and mannerism of Jimmy Dean’s role in Rebel Without A Cause with near perfect mimickery. 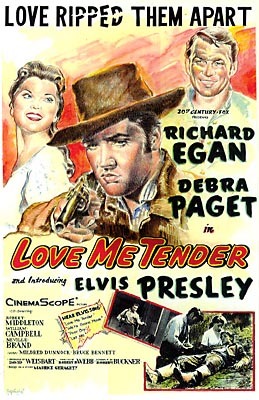 The Kings silver screen debut came with Love Me Tender (1956) opposite Howard Keel and though the film has its faults (eg: misplaced musical numbers and convoluted pacing) the big “E” manages to emote and for a first timer shows potential. 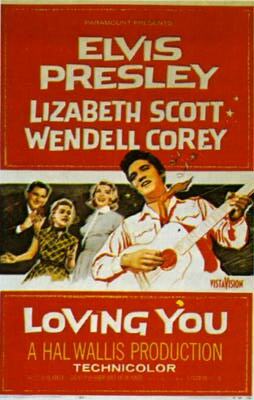 Next came Loving You (1957) which contained many elements that would later define his films, save one, Presley’s acting. Managing to find moments of genuine sincerity in the character, this is not Oscar winning stuff but still there is a definite desire to improve. Jailhouse Rock (1957) which tells the semi autobiographical story of a down on his luck blue collar worker who strikes it big as a singer is the quintessential Elvis film. 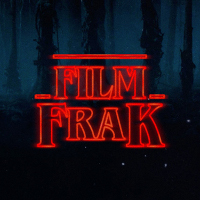 Continuing to evolve as an actor the songs here fit the narrative and the structure works, but his best was yet to come as you will see after the clip. 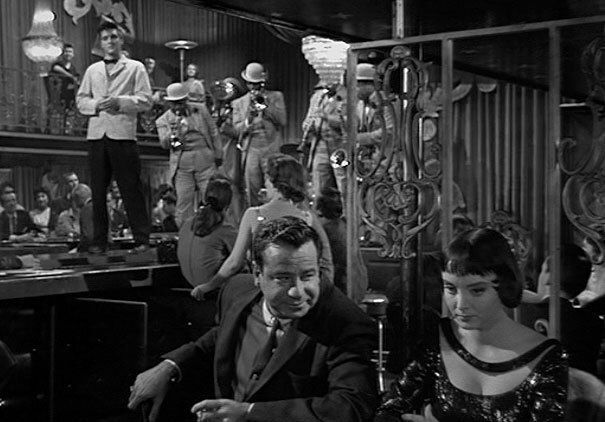 For John Doe and many other it is King Creole (1958) that marks the high point in Elvis’ cinema career. Directed by the respected Michael Curtiz, (Mildred Pierce, Casablanca, Yankee Doodle Dandy, Robin Hood) the film is moody and atmospheric, the story is engrossing and carries weight. The songs are kept to a minimum and the performance of its star honed enough to not feel out of place beside the quality cast that included Walter Matthau (The Odd Couple), Carolyn Jones (Morticia in the Aadams Family), Dean Jagger (Vanishing Point) and Vic Morrow (Dirty Mary Crazy Larry). After that things decline rapidly for the man with the snarling lip and with only a few exceptions his cinematic aspirations disappeared, replaced with generic stories and empty parts. So Hail to the King baby, he may have slipped from his crowned throne in the end but in his prime E was a gifted entertainer of a calibre we may never see again. Which makes you wonder what would have happened if his identical twin Jesse had survived at birth.